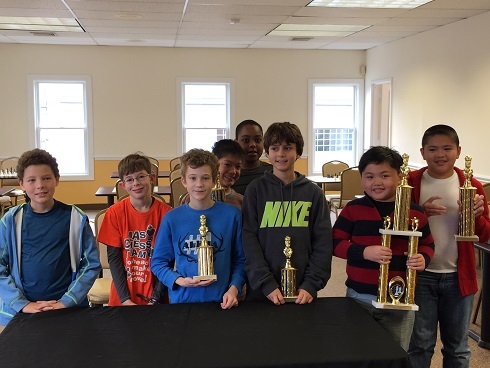 As always, this month’s k-8 scholastic tournament was divided into 3 sections. 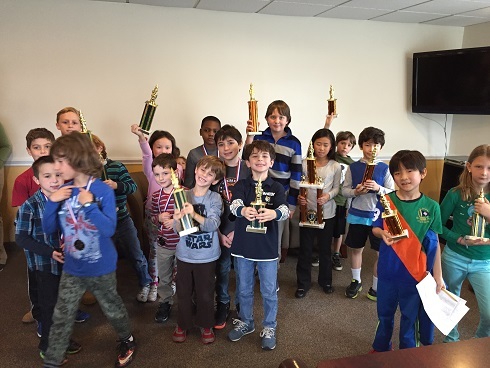 In the first section with players in grades k-2, we had a three-way tie for first place. Tristen Gemelli, Avery Beck, and Lia Lavin won 3 of 4 games each. In the 3-5 division, Mia Kai played a remarkable game and surpassed a player 400 points above her rating and won all four rounds! The 6-8 portion of the tournament named two victors. Brothers Louis-Joshua and Luis-Jamie Casenas unsurprisingly had the exact same results. Each brother won all four of their rounds! Congratulations to all the winners and participants. We hope to see you soon!